Lady Aurelia Young is Nemon’s elder daughter. She lived with her parents, her brother and sister at the family home on Boars Hill near Oxford, and spent considerable time at her father’s studio after she grew up. 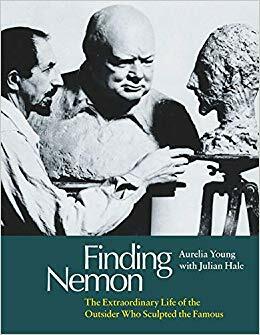 Since his death she has undertaken significant research into all aspects of Nemon’s life and gives talks in the UK and elsewhere on his artistic career. She married George Young in 1964, an MP for forty-one years, who is now Lord Young of Cookham.